Shop online for 108 design-preservation model trains at discounts up to 16%. This is an N Scale Plastic Structure Kit of Roadkill Cafe by Design Preservation Models. For Adult Modelers. 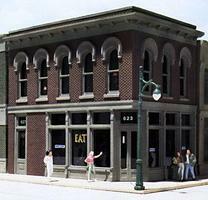 This is an HO Scale Plastic Structure Kit of a Front Street Building by Design Preservation Models. 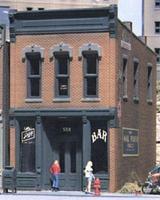 This is an HO Scale Plastic Structure Kit of Kelly's Saloon for Realistic Model Layouts by Design Preservation Models. 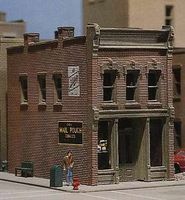 This is an N Scale Plastic Structure Kit of the Corner Apothecary to Create Realistic Model Layouts by Design Preservation Models. This is an HO Scale Plastic Structure Kit of the M.T. 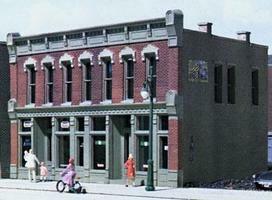 Arms Hotel Building by Design Preservation Models. 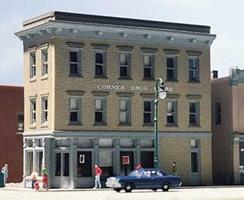 This is an HO Scale Plastic Structure Kit of The Other Corner Cafe Building by Design Preservation Models. This is an N Scale Plastic Structure Kit of Reed's Books by Design Preservation Models. For Adult Modelers. 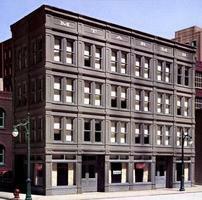 This is an HO Scale Plastic Structure Kit of the 1st National Bank Building by Design Preservation Models. This is an N Scale Plastic Structure Kit of Otto's Parts by Design Preservation Models. For Adult Modelers. 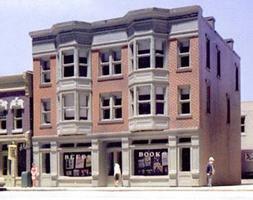 This is an HO Scale Plastic Structure Kit of 3 Front Sides of Townhouse Buildings by Design Preservation Models. This is an HO Scale Plastic Structure Kit of Townhouse #1 for Realistic Model Layouts by Design Preservation Models. This is an HO Scale Plastic Structure Kit of Townhouse #2 for Realistic Model Layouts by Design Preservation Models. This is the N Scale Hayes Hardware (2-1/2 x 3-1/4'') from Woodland Scenics DPM Landmark Structures(R). This is an HO Scale Structure Kit Containing Plastic Pieces to Construct the Walker Building from Design Preservation Models. This is an HO Scale Plastic Structure Kit of Robert's Dry Goods by Design Preservation Models. This is an HO Scale Plastic Structure Kit of Cutting's Scissor Co. for Realistic Model Layouts by Design Preservation Models. This is an N Scale Plastic Structure Assembly Kit of Erik's Emporium for Added Realism to Model Layouts by Design Preservation Models. This is an N Scale Plastic Structure Kit of the Hilltowne Hotel to Create Realistic Model Layouts by Design Preservation Models. 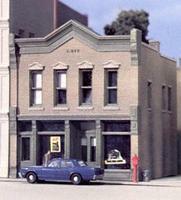 This is an HO Scale Plastic Structure Kit of Goodfellows Hall for Realistic Model Layouts by Design Preservation Models.